We know that wine and spirits are more than just complementary items to your meal. It’s the bottle of wine to impress your boss, the 6-pack of craft beer to analyze with your dad or the bottle of spirits to enjoy with those important to you. We don’t just sell these items– we live and breathe them. We’ve toured the distilleries, met with the brewers and tasted with the winemakers. We taste products (tough job, but someone has to do it!) in order to find the best items for you. We’re proud of the wide variety of products we’re able to offer, and we try to carry everything from the big name brands to the local companies. We understand the varying preferences and palates when it comes to wine, spirits and micro brews. Try talking to our friendly associates — recommendations are our speciality. We’re happy to share our insights and tips on what to look for. Today we find ourselves in the midst of a “wine revolution” where quality is rising from every corner of the globe. Each day brings new categories, countries, producers, and grapes exposing themselves as fun and interesting alternatives to the everyday norms. You can expect to find these exciting new products and many more at your neighborhood Sendik’s. We come from a city founded on brewing and a state known for beer. We are proud to feature many of our state’s greatest products. There are so many great craft breweries in the United States, it’s hard to stock everything — but we can guarantee, we work to have all of the best on our shelves. And, we even have our own Sendik’s beer! 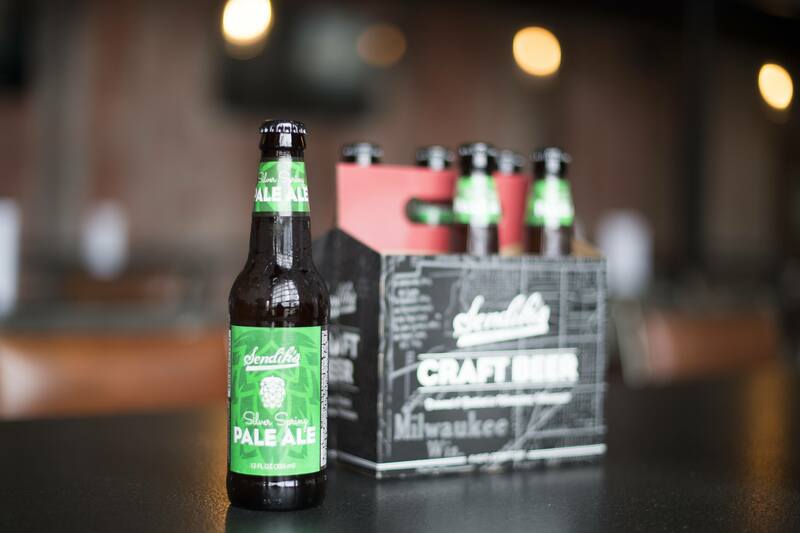 We’ve partnered with Milwaukee Brewing Company to create our own beer line, including Sendik’s Pale Ale and Sendik’s American Amber. When it comes to spirits, our selection is first class. On top of carrying all of your favorite name-brand products at everyday great prices, we also have have some limited, single barrel bourbons that have been selected by our team and bottled only for Sendik’s.